In earlier days a journalist was more or less a writer, later on he became a reporter and an editor. In today’s world he is a multimedia journalist who can handle any medium used in the media without much glitch. He can report an event and take photos and videos of it and edit them to fit his story without another’s help. This is an era of minimal usage of man power. The relevance of convergence starts here. Convergence or a mixture of video, audio, photo and written content by involving social media as a tool to promote it, is a revolution brought in by the new digital media. The channel named Teenindia is aiming to reach 13-19 year olds all over India although to be based in the South Indian state of Kerala. Educated teenagers in India are much more competitive than their contemporaries in other countries due to unbalanced educational and employment opportunities. An average seventeen year has to pass through many criterias to get into a good educational institution so youngsters are in a scramble for good education. Indian media is vast with more than 500 channels to its credit. More than 80 of them are news channels. India has 22 official languages (and almost 398 living languages) and the country’s newspapers count up to 5,000. From culture to culinary to language each state differs. So starting a teen news channel, mainly concentrating on political, educational and economical aspirations of youth in India has ample relevance. 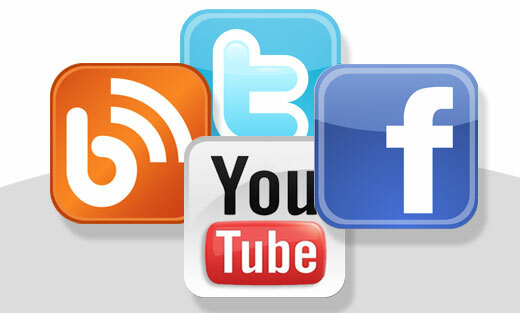 Today more and more youngsters are aware of world happenings through social networking sites like Facebook . Especially in a country like India, where separations among states and regions are quite evident, the importance of a converged media is relevant to bring the country’s youth together. 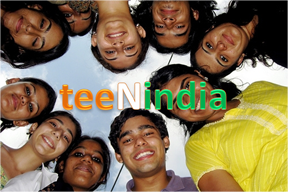 Teenindia concentrates on teen awareness and infotainment more than just news. Just like the channel reporters, which is a team of ten people, each and every teenager in India can bring in relevant news and ideas. The interest of the teenagers can be directed towards righteousness. 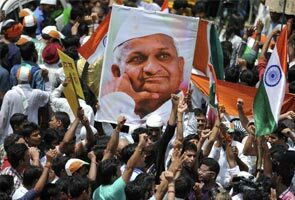 This became evident when a social activist like Anna Hazare fought against the social injustices, it was the youth who supported him and promoted his ideas through social networking sites. In India teenagers worship screen idols (filmstars, sportsmen) and whatever they do become their life’s motto. But today they need more than made up Gods to look up to. When their desktops don Cheguevera, and their headphones hit Bob Marley, they need to bring in the ideals of Gandhi and beliefs of the Buddha in their day-to-day life. The channel will try to bring in the best of India’s rich culture and make it colourful and peppy to attract teens interested in it. intolerances, strikes, political bashes and tribal issues has to be covered on a daily basis. Art and book exhibitions, book and movie reviews, different Indian art forms like Kathakali, Bharathanatyam so on will be introduced to the youth via Teenindia. One will have to cover major national and international stories that could be relevant to our audience. These reporters will also be in charge of the news or featured stories that we get from our viewers. Indian teenagers are tech-savvy so a reporter will be assigned to bring in news about latest technology and communication. Another can do a programme on latest automobiles and current fashion and trends. Since India is such a vast country an Indian tour could be conducted with a reporter and he/she could do a travel show. A website will be started immediately with the channel and two people will be in charge of the website. In this digital era youngsters depend more on internet than print or visual media. They rely more on Google and Wikipedia to clear their doubts than books. Social media has become so successful because it is making each and every individual to get involved in it and force them to advertise themselves. One of us should concentrate on social media. He/she should bring in audience’ attention via Twitter or Facebook. He must be able to bring in a discussion on the subject and make teenagers get involved in it. As sports (especially cricket) is quite important in Indian teenager’s life one should report sports in a regular basis. Basing on the principles of Mahatma Gandhi and non-violence the Teenindia will impart social awareness amongst the youth of India. Teenagers of India should come up and fight against social injustices like corruption and illiteracy and our motto is to make them aware of current political and economic state of India. In case of feasibility we can depend on the TRP (Target Rating Point) as teenage population of India is above 30% of total.